I appreciate the time you’ve taken to visit this sites and find out more about this dental practice, my team, and many services we can provide to help you achieve quality, friendly, and affordable dental health care. Dr. Mei Lu graduated from University of Hong Kong School of Dentistry. Dr. Lu came to the United States and graduated from Loma Linda University School of Dentistry in 2008. Dr. Lu is truly international academic, dentist, oral surgeon, and citizen. Dr. Lu has had extensive clinical, research, and teaching experience in several dental schools in China, Australia, Hong Kong, Canada and US. 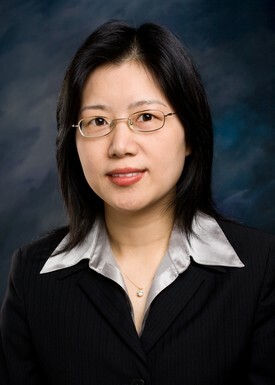 Following her studies at the Zhejiang Medical University in China where she received her first Doctor of Dental Surgery (DDS), Dr. Lu continued her education earning a Master Degree in Oral and Maxillofacial Surgery from the Zhejiang Medical University, a PhD at University of Hong Kong School of Dentistry with Outstanding Award in 2003, followed by a three-year postdoctoral fellowship at the University of British Columbia, Vancouver, BC, Canada. She got her second DDS at the International Dentist Program at Loma Linda University, where she worked as an associate professor of Oral and Maxillofacial Surgery for 5 years after graduation. Dr. Lu is a well-known speaker for her dental research in national and international dental scientific conferences. She has published multiple original research and scientific papers. One of her papers was selected as the recipient of the 2013 Oral and Maxillofacial Foundation Daniel M. Laskin Award for the most outstanding article published in the Journal of Oral and Maxillofacial Surgery in 2012. Dr. Lu is the Faculty Advisor of the National Student Research Group for the American Association of Dental Research(AADR). Dr. Lu also serves as Table Clinic Judge for the California Dental Association (CDA). Dr. Lu’s two offices are Family/Implant/cosmetic dentistry for kids, adults and elderly patients. Her state-of-art office holds most advanced dental technology available today, such as comfortable A-dec operatory chairs, Sirona panoramic 3D X-ray, Digital Doc Iris Intraoral Camera, Nobel Biocare Dental implants, and Philip Zoom Tooth Whitening. Her gentle nature, her high education and intensive experience in dentistry well prepared her to help you get a healthy and beautiful smile. She knows each patient is unique and takes time to work with them to overcome the dental anxiety or dental fear. Dr. Lu and her husband, Jie, have two children (Scott 17 and Leon 12) and together they enjoy swimming, table tennis, and gardening. They also actively involve in local church and community events.